A native San Diegan, Jim’s distinguished civic service spans over three decades. He served two terms as Chief of Staff to a City Council member and was elected to the San Diego City Council in 2000 and reelected in 2004. Jim’s accomplishments as an elected official are numerous: building libraries, fostering economic development, water and waste water policy and specializing in regional transportation and planning issues. Jim is also Past President of the League of California Cities. Jim was appointed by Governor Jerry Brown to the California Transportation Commission in 2013 and served until January 2019. While on the CTC he was a champion for improving technology in our transportation system. He also chaired the CTC’s Road Charge Task Force, the goal of which is to design a program that might eventually replace the gasoline tax. 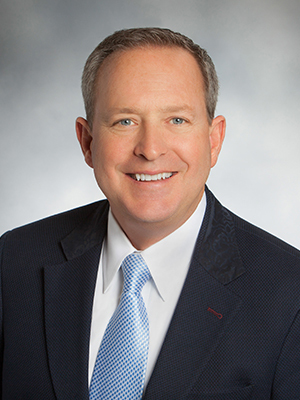 Jim also serves as Chair of the Board of Directors of the San Diego County Water Authority, responsible for maintaining a safe and reliable water supply supporting a regional economy of over $220 billion per year. The recipient of numerous awards and honors over his career, Jim is a member of San Diego Rotary Club 33, and Lambda Alpha International. An author, futurist and entrepreneur, Jim speaks frequently to groups, conferences and organizations around the world about the future of transportation, technology innovation, connected communities and numerous leading-edge technologies. Jim has two sons. He and his wife Robin live in San Diego with their two English Bulldogs, Ruby and Red.